Gets R.S. 16-inspired updates, still won’t come to the U.S. The fourth-generation Renault Clio was unveiled at the 2012 Paris Motor Show with a significantly redesigned body and interior, as well as and updated drivetrains. 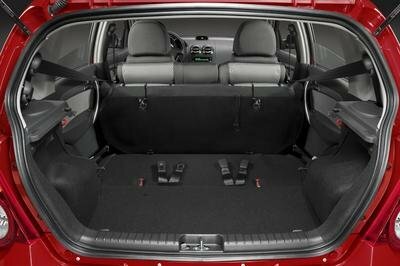 Unlike its predecessors, it was only made available in five-door hatchback and five-door estate body styles. Underpinned by the Alliance B platform co-developed by Renault and Nissan in the late 1990s, but enhanced by range of modern updates, the fourth-gen Clio spawned a couple of track-ready models — the R.S. 200 and the limited-edition R.S. 220 Trophy EDC. The entire lineup received its mid-cycle update in 2016. Also in 2016, Renault unleashed the R.S. 16, a concept car created to mark Renault Sport’s 40th anniversary and to celebrate the brand’s comeback to Formula One as a manufacturer. Although the R.S. 16 isn’t likely to spawn a production model, it was used as inspiration for the facelifted R.S. 200 and the R.S. 220 Trophy, both receiving the aggressive front bumper design, among other features. “The new Clio R.S. offers the full spectrum of Renault Sport technology for immediate driving pleasure. The model also inaugurates the highly efficient and innovative R.S. VISION lighting system, Renault Sport’s exclusive lighting signature,” announced Patrice Ratti, CEO of Renault Sport Cars. Both models will go on sale starting September 2016 and, much like its predecessors, it won’t cross the pond to the United States. Keep reading to find out what you’re missing unless you live in the European markets where the Clio R.S. is being sold. Update 7-22-2016: We’ve created a new video that covers the highlights of the 2017 Renault Clio. Click play to watch the video! 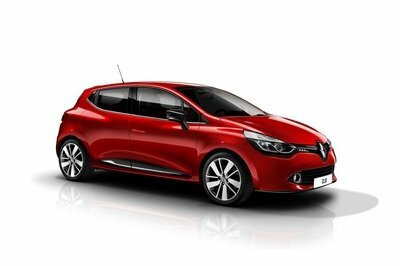 Continue reading to learn more about the 2017 Renault Clio R.S. Renault Clio RS Gordini - will it look like this? Much of the exterior design is carried over from the outgoing model, which is far from surprising given that this is a mid-cycle facelift. However, both the R.S. and R.S. Trophy gained the aggressive bumper seen on the R.S. 16 concept. The element includes a wide grille with thin chrome insert flanked by LED, multi-faceted fog and cornering lights in the form of a chequered flag. Called R.S. 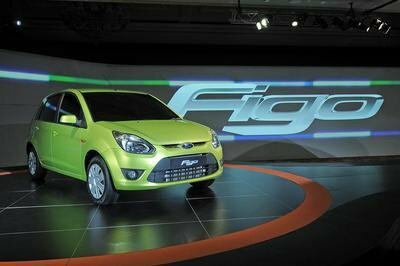 Vision, it gives the hatchback a racier stance, while also improving aerodynamics and engine cooling. Both models also feature mildly revised side sills, spoiler, rear diffuser, and twin exhaust tailpipes. The C-shaped lighting signature of the taillights is carried over from the outgoing model. Both the R.S. and R.S. Trophy ride on new 18-inch wheels, but the latter also comes with a lowered suspension — 20 mm (0.78 inches) at the front and 10 mm (0.39 inches) at the rear. New R.S. logos underneath the Renault badge at the front, on the wheels, and on the tailgate round off the facelift. Inside, Renault kept changes to a minimum, just as it did with the standard Clio. Updates are rather mild and include a revised steering wheel and optimized sports seats for better lateral support. Like the pre-facelift model, the R.S. 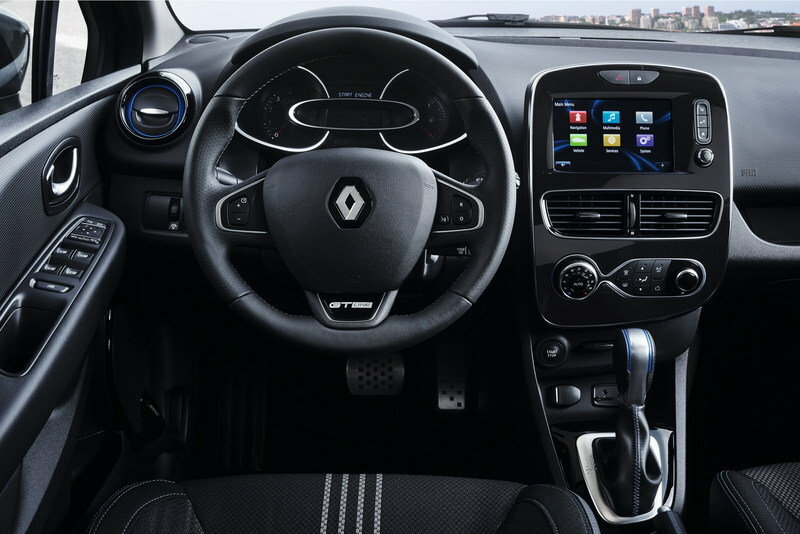 stands out compared to the standard Clio by means of a bespoke instrument cluster, aluminum pedals, accent stitching, R.S.-embossed headrests, and an array of features not available on the regular hatchback. Although the cabin carries over mostly unchanged, this should be an issue with customers, as both the design and the layout are as fresh as they get. Things carry over unchanged under the hood as well. The R.S. is powered by the same turbocharged, 1.6-liter four-cylinder rated at 197 horsepower, while the Trophy versions comes with the same 217 horses on tap. Both engines mate to Renault Sport’s six-speed dual-clutch transmission with steering wheel paddle shifts. Top speed is rated at 141 mph for the R.S. and 146 mph for the Trophy. As far as performance goes, both vehicles are among the quickest in their class. The R.S. hits 62 mph from a standing start in 6.9 seconds, while the more powerful Trophy needs 6.6 ticks to achieve the same benchmark. Also, the Trophy is able to cover 400 meters (almost a quarter-mile) from a standing start in an impressive 14.5 seconds. Top speed is rated at 141 mph for the R.S. and 146 mph for the Trophy. Standard features for both models include launch control, the RS Drive system with three modes ("Normal," "Sport," and "Race"), RS Monitor application, and hydraulic compression bump stops developed by Renault Sport specifically for rallying. 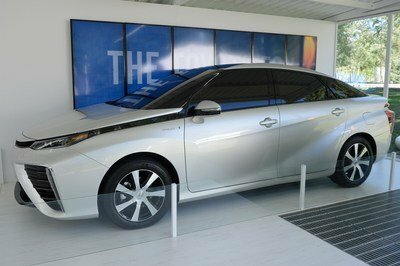 The most notable extra that comes with the facelift is the new exhaust system added to the Trophy model. 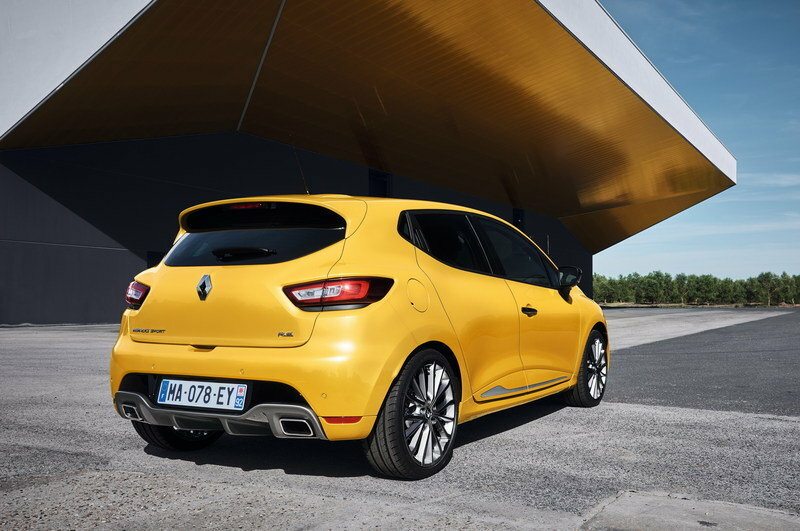 Designed by Akrapovic specifically for this hatchback, the exhaust is inspired by the one Renault showcased on the R.S. 16 concept and gives the car a unique sound and slightly quicker acceleration. Pricing information is not available right now, but the sticker shouldn’t be significantly higher than that of the current model. With the pre-facelifted R.S. priced from £20,445 (about $26,500) and the Trophy from £21,780 (around $28,200), the updated models should retail from around £20,800 and £22,200 (about $26,950 and $28,760,) respectively. Sales and deliveries commence in September 2016. Although the standard ST is already a worthy competitor for the Clio R.S., the ST200 makes for a more exciting proposition due to its higher output and exclusive interior features. The turbocharged, 1.6-liter EcoBoost engine packs 197 horsepower and 213 pound-feet of torque, 17 horses and 37 pound-feet more than the standard ST model. While the ST can also benefit from 197 horses thanks to its overboost function, the ST200 can use that amount permanently and not for just 15 seconds. The ST200 is nearly as quick as the R.S. 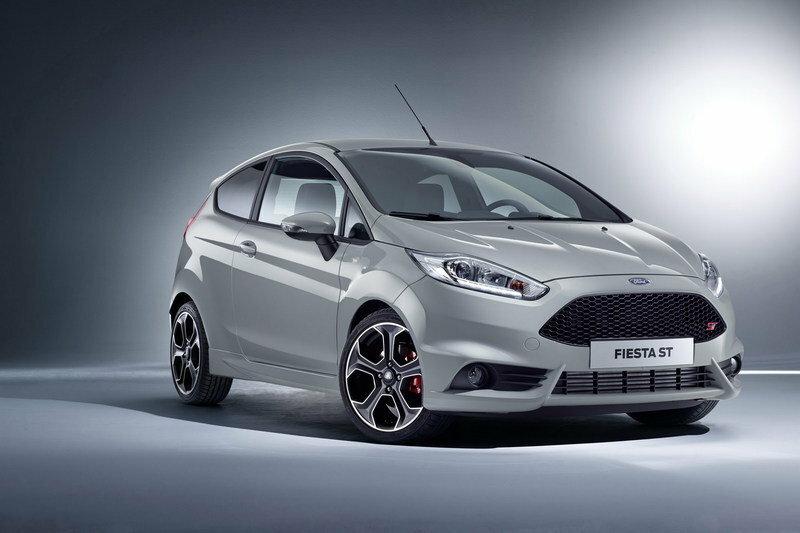 from 0 to 62 mph, while its top speed is rated at 143 mph, 13 mph higher than the Fiesta ST. Pricing for the ST200 starts from £22,745 (about $29,350) in the U.K.
Find our more about the Ford Fiesta ST200 here. Based on the Clio’s traditional rival, the GTi is a Polo on steroids or a more affordable alternative to the mighty Golf GTi. 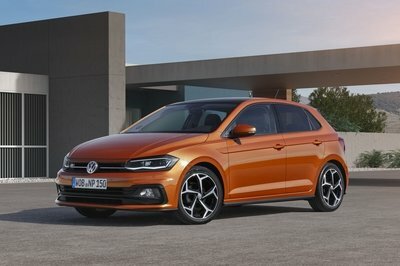 Equipped with a distinct exterior body kit and a sportier interior, the Polo GTi gets its juice from a turbocharged, 1.8-liter four-cylinder engine that cranks out 189 horsepower and 236 pound-feet of torque. It needs around 6.7 seconds to hit 62 mph from a standing start on its way to a top speed of 148 mph, which makes it quicker and faster than the Clio R.S., but a tad slower than the Trophy version. Also not available on U.S. soil, the Polo GTi is the most affordable of the bunch, starting from £19,125 (around $24,680) in the United Kingdom. 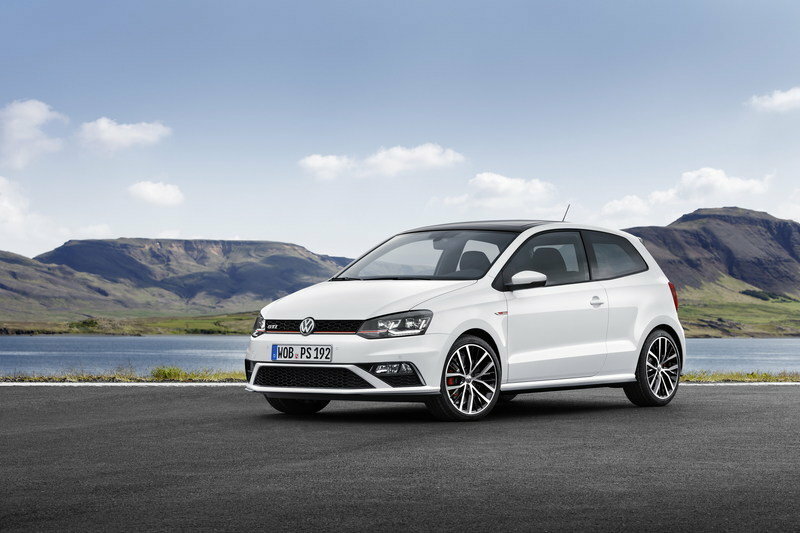 Learn more about the Volkswagen Polo GTi here. Although this mid-cycle update doesn’t make the Clio R.S. and Trophy more powerful, it includes just enough changes to keep the performance hatchback fresh for European customers. The R.S. 16-inspired front bumper is a nice touch, while the new Akrapovic exhaust offered with the Trophy version will make a few customers want an aftermarket upgrade. And, even though it’s not quicker than its most important competitors, the fact that it includes more race-bred underpinnings makes the Clio R.S. the best choice if you’re in the market for a truly race-inspired hatchback. The New Clio R.S. 200 EDC, Clio R.S. 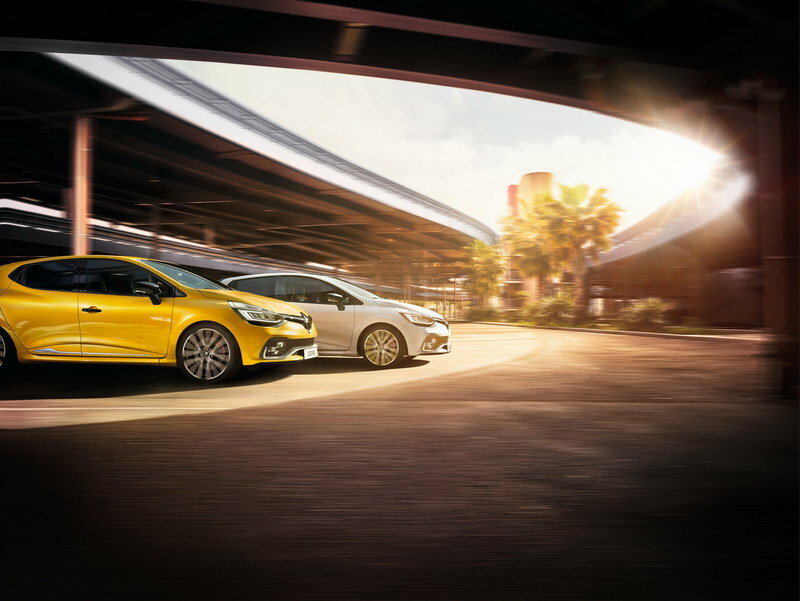 220 Trophy and new GT-Line look pack incorporate the advances offered by the New Clio and further enhance that package by drawing on Renault Sport’s wealth of knowledge and expertise. “The new Clio R.S. offers the full spectrum of Renault Sport technology for immediate driving pleasure. At launch, each customer will be able to choose from three types of chassis and two power outputs. The model also inaugurates the highly efficient and innovative R.S. VISION lighting system, Renault Sport’s exclusive lighting signature,” announced Patrice Ratti, CEO, Renault Sport Cars. The New Clio R.S. is available with a 1.6-litre turbocharged petrol engine with a choice of two power outputs (200hp and 220hp on the Trophy version), mated to six-speed EDC dual-clutch automatic transmission with steering wheel-mounted paddle shifts. Trophy chassis with 18-inch wheels, lowered by 20mm at the front and 10mm at the rear to place the focus firmly on driving pleasure. The 200hp powerplant is available with the Sport and Cup chassis, while the 220hp unit can be selected for the Trophy variants. The 220hp Trophy version is capable of out-performing all other sporty vehicles in its class, taking just 6.6 seconds to sprint from 0-62mph, 14.5 seconds to cover 400m from a standing start and going on to reach a top speed of 146mph. The Clio R.S. also innovates with an unprecedented equipment package for the segment, including Launch Control, the R.S. Drive system which enables a choice of three driving modes (Normal, Sport and Race), the R.S. Monitor application and hydraulic compression bump stops developed by Renault Sport for rallying. The front end of the new CLIO R.S. is visually broader by virtue of a specific front bumper, and the car is completed by LED multi-faceted lighting in the form of a chequered flag called R.S. Vision, for a distinctive look and outstanding lighting performance. This exclusive technology, initially seen on the Clio R.S.16 concept car, co-ordinates the vehicle’s fog lights, cornering lights, side lights and dipped and main beams to enhance night-time visibility. The new Clio R.S. also offers new 18-inch wheels and specific sills. At the rear there is a spoiler, functional diffuser and twin exhaust tail pipes, while the rear lights carry over the C-shaped lighting signature. The Renault Sport (R.S.) logo appears underneath the Renault badge at the front of the car, on the wheels and at the rear. 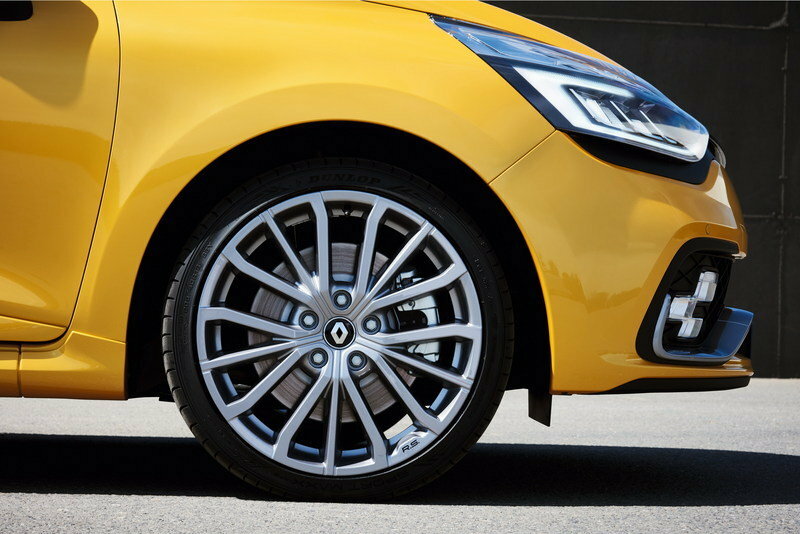 With the GT Line look pack, the new Clio takes on a sporty look with forceful features that immediately set it apart. The New Clio with the GT Line look pack is equipped with Dark Metal air scoops in the front bumper along with lateral sills (like the Clio R.S. ), uniquely designed 16- or 17-inch wheels, as well as an exclusive exhaust with a chrome tail pipe and a Dark Metal rear bumper panel. The New Clio and New Clio R.S. are available to order sale in the UK from September with customer deliveries from the autumn.